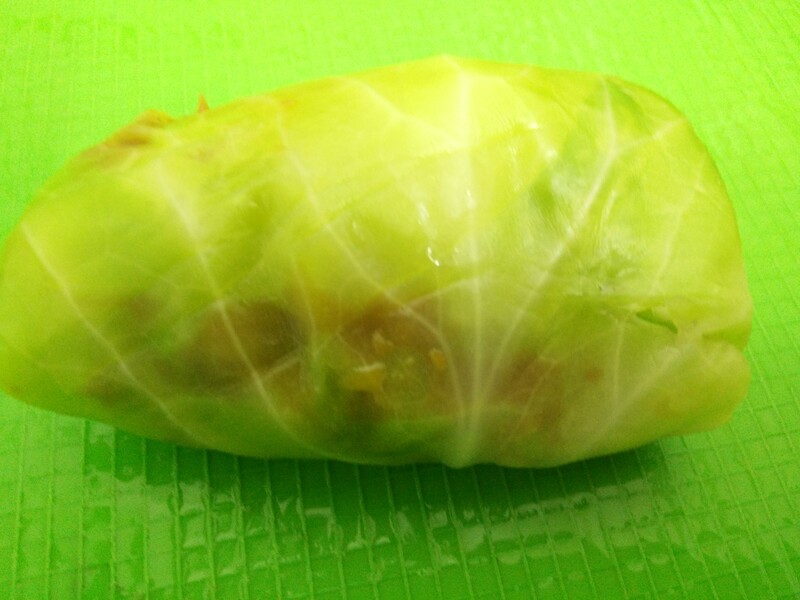 Golabki does sounds exotic…but when I first read the recipe the thought of making cabbage rolls did get a few wrinkles crease between my brows. However it had all the right catch words: Low GI, fat-free, diabetic friendly, low calories, low carbohydrates and so on and so forth, making it the perfect meal for a Monday after a three-day holiday in Goa, where the bottles clinked more often than ever before. To start off, forget you’re working with cabbage. Think of it as a natural pasta. Then decide on the meats you would like to use. You can use a combination of pork and beef mince, or just plain pork, chicken or beef mince. Vegetarians can try soya mince, it tastes just as good. Once the meats are zeroed down on, team it with the right cheese. I like a sharp cheddar, but you could use a gouda or mozzarella too. Traditionally, one uses rice and egg in this dish. I’ve done away with both in an attempt to make it healthier. 10 large cabbage leaves, blanched and deveined. 1/4 cup finely chopped parsley. Add a tablespoon of oil to a thick bottom pan, when its hot add a teaspoon of broken pepper, green chillies and 1/2 cup finally chopped onion. Saute till onion is translucent. Add the mince and cook till well done. Add the spice mix or barbecue herbs. Add the 1/4 cup of finely diced carrots and cabbage and salt and pepper to taste. Cook till all the water evaporates. Add 2 tablespoons of Barbecue sauce. In another pan, add the ginger garlic paste and fry till the garlic doesn’t smell raw anymore. Add the tomatoes and 2 finely chopped onions and cook till they blend in well. Add water to make a thick gravvy. If you’ve chopped the veggies fine enough, you may not need to blend this sauce. otherwise blend it to a rough consistency. 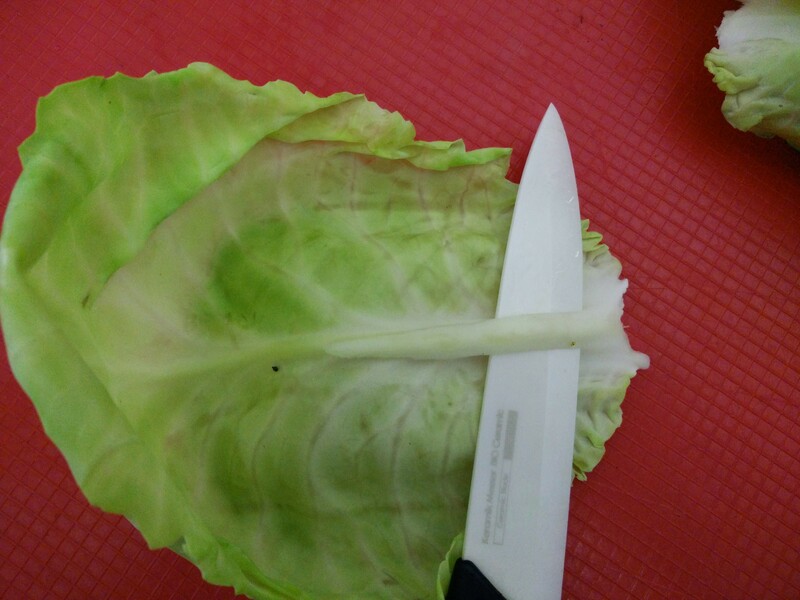 Cut the thick vein off before you stuff and roll the cabbage leaves. 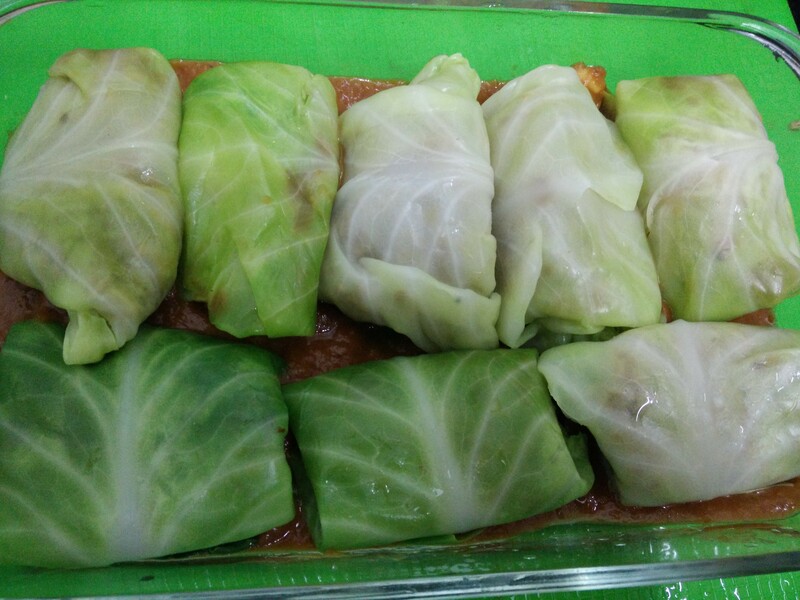 Devein the cabbage leaves, so it is easy to roll them. 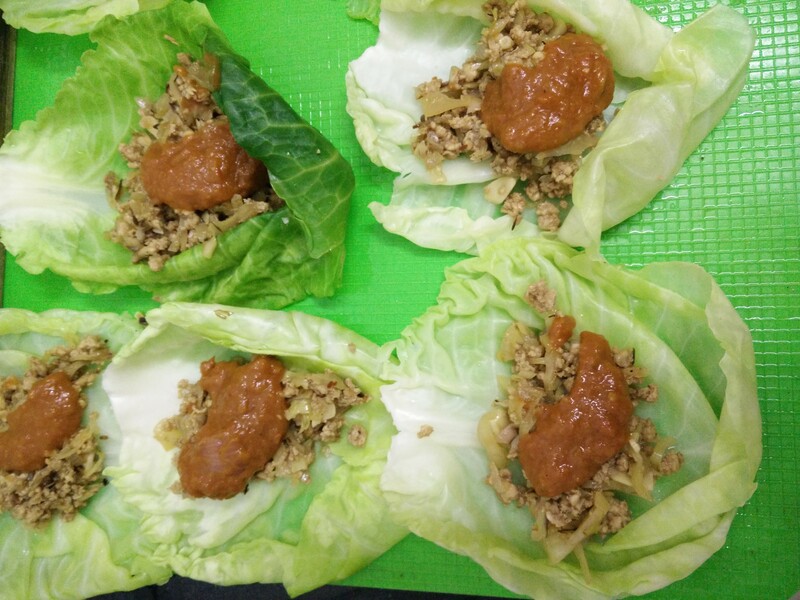 Place a heaped tablespoon of the filling in the centre of the leaf. 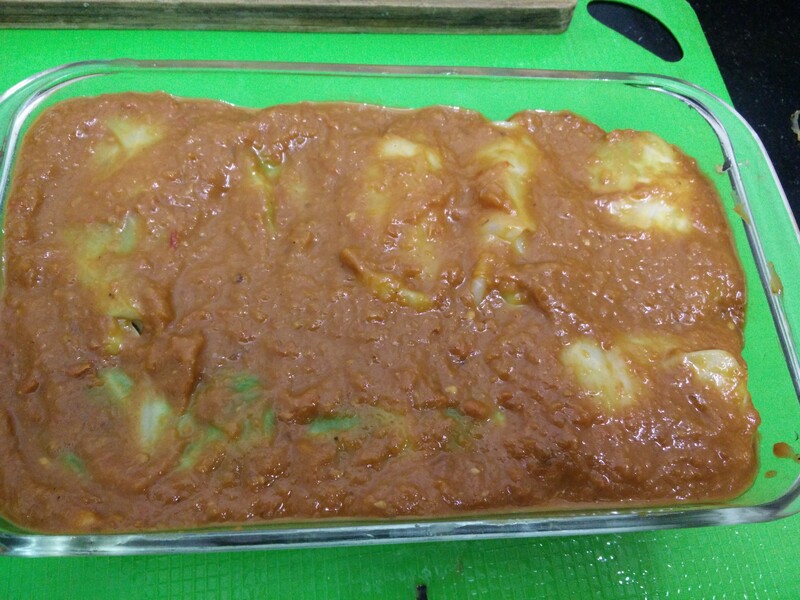 Top with one tablespoon of the tomato gravvy. You can add a teaspoon of grated cheese if you like. Fold in the sides and then roll to make a thick sausage. 3. Make as many rolls as you can in this process. Place the rolls as close as possible and then pour the luscious sauce over it. Pour a layer of the tomato gravvy. 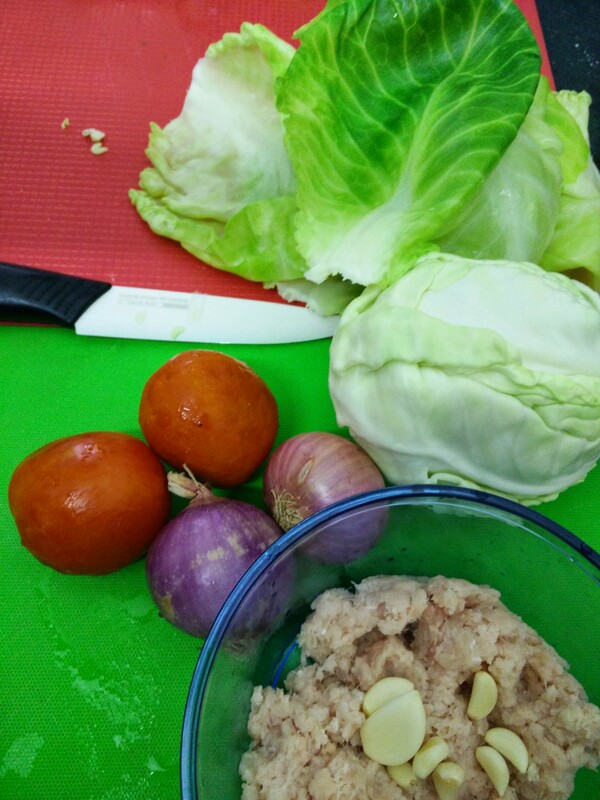 Place all the cabbage rolls, with the joint size down on the layer of tomato gravvy. Pour the gravvy on top such that the rolls are fully immersed in the gravvy. Ensure the tomato gravvy covers every bit of the dish. 5. 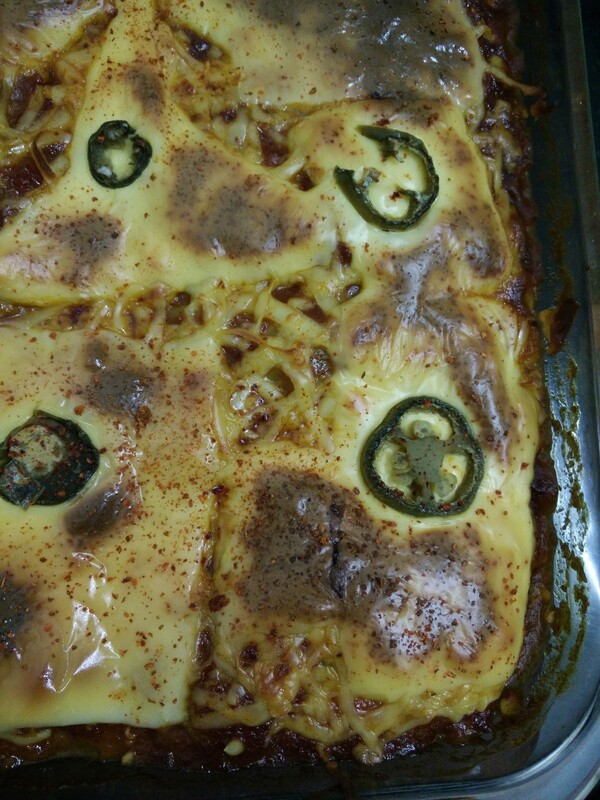 Top with cheese, you could use a mixture of grated cheese and cheese slices. 6. 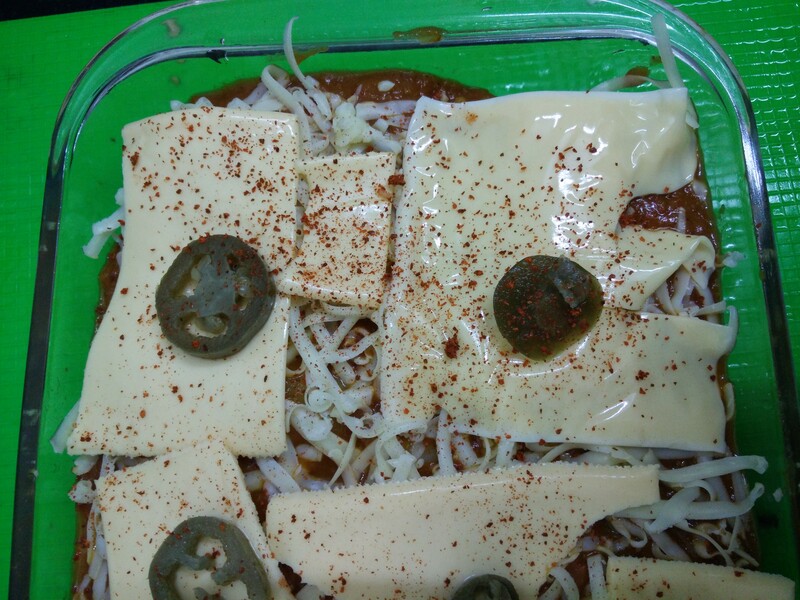 Add jalapeno slices and sprinkle paprika powder on it. 7. Bake in a pre-heated oven at 180 degrees for 20 minutes. If the top doesn’t sizzle, change the oven settings to ensure you have a golden cheesy crust. 8. Serve hot with a salad. 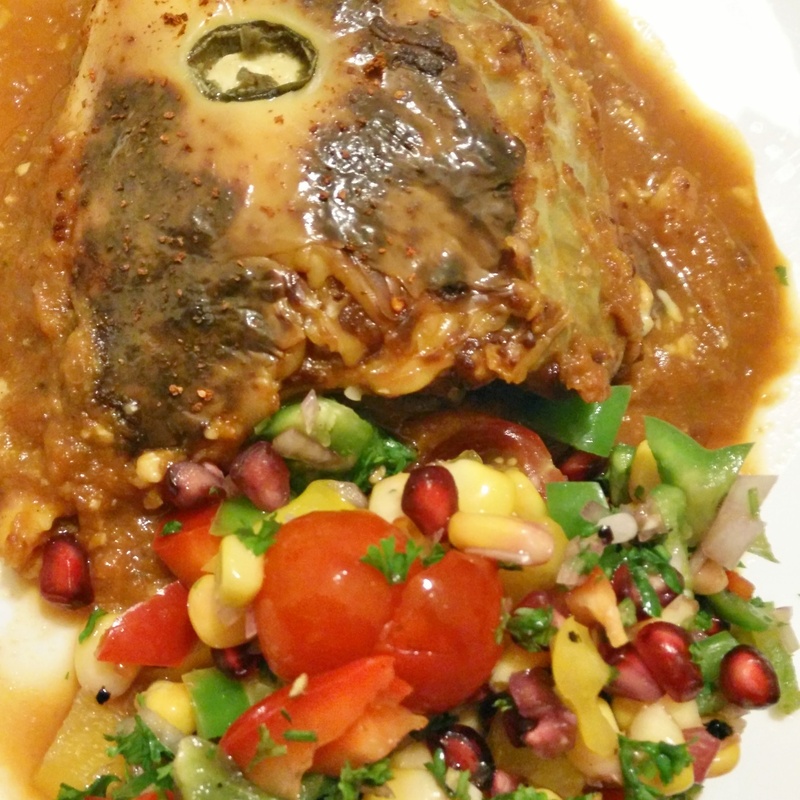 I served it with a 3 pepper and corn salad.